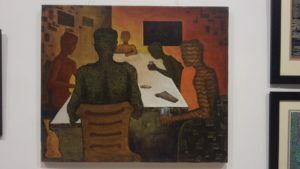 Natural Meet : The group show by Vikrant Mhatre , Mayuri Mhatre -Ambetkar and Tejesh Sonawne. Natural Meet :The group show by Vikrant Mhatre , Mayuri Mhatre -Ambetkar and Tejesh Sonawne. 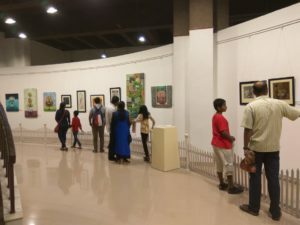 Meet ‘ the artist’s are trying to connect you with nature. 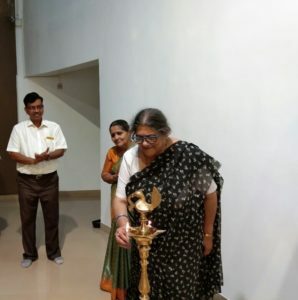 They have displayed this at ‘Nehru Center Art Gallery ‘ from 20th November 2018 to 26th November 2018. 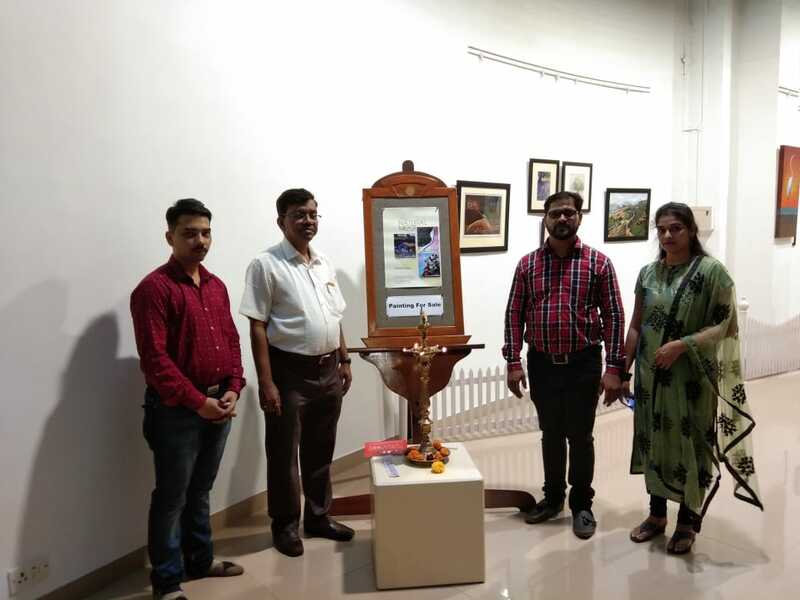 Mr. Vikrant N. Mhatre (Vasai ), Mrs. Mayuri V. Mhatre -Ambetkar (Vasai), Tejesh P. Sonawane (Sion) have conducted a group show. All of these three have completed their education in art from ‘Vasai Vikasini’s College of Visual Art’. 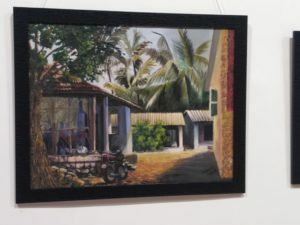 Mr. Vikrant N. Mhatre has illustrated in canvas the importance of concentration and meditation required in a human life. He has used image of the bird Crane with amazing colour combinations and great imagination in his paintings. 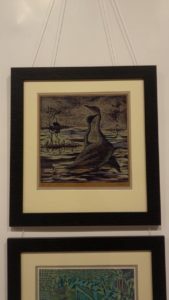 He has used acrylic colours on canvas with maximum use of space division and achieved it through print making. Mrs . Mayuri V.Mhatre -Ambetkar drawn still life images, different leaf and flower designs with artistic ideas leading to joy of life. She has used acrylic colours with great colour combinations on canvas. The different ideas used has a beautiful message. 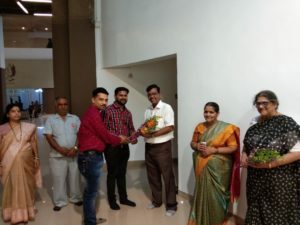 Mr. Tejesh P. Sonawne has shown the various facts of life in rural areas. eg.Mahim Couseway etc. in colourful modules of forms. 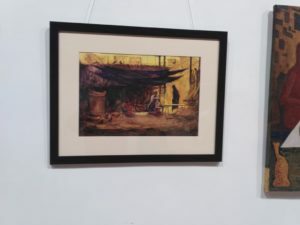 His work depicts seascapes ,golden afternoon ,life style of people and the daily routine of fisher man.